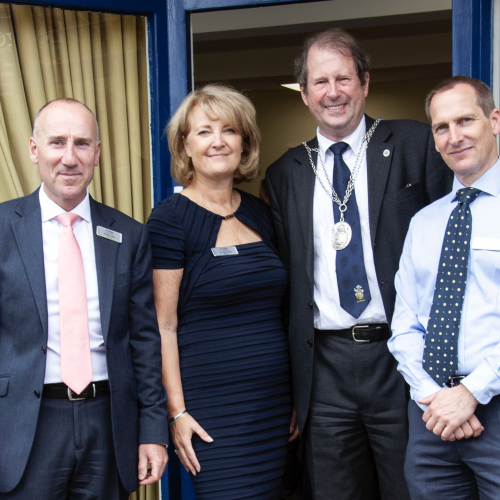 The Official Opening Ceremony of Lodge Brothers new branch in London Road Burpham was held on Wednesday 20th June. Paul Bye, District Manager for the area, opened with an introduction to the Lodge Brothers family history and an outline of the company’s philosophies. Local clergy members joined together and prayers were read in the Dedication and Blessing of The Chapel of Rest, and after a brief speech welcoming Lodge Brothers to the area, the commemorative plaque was unveiled by Deputy Mayor Councillor Richard Billingham. Alongside the clergy, guests included representatives from local businesses and the registrars from the council office. Buffet and refreshments were provided by local catering company Merrow Savouries.